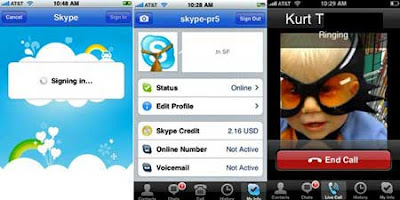 Skype has released an application for iPhones that will allow users to make free phone calls over the internet. The application can be downloaded from the App Store. The service, which works over Wi-Fi, will be free between Skype users and calls to other landlines and mobiles will cost less than normal network rates.